- Stay focused and hunt for an elephant. - Manage the biggest inbox with smart email sorting. 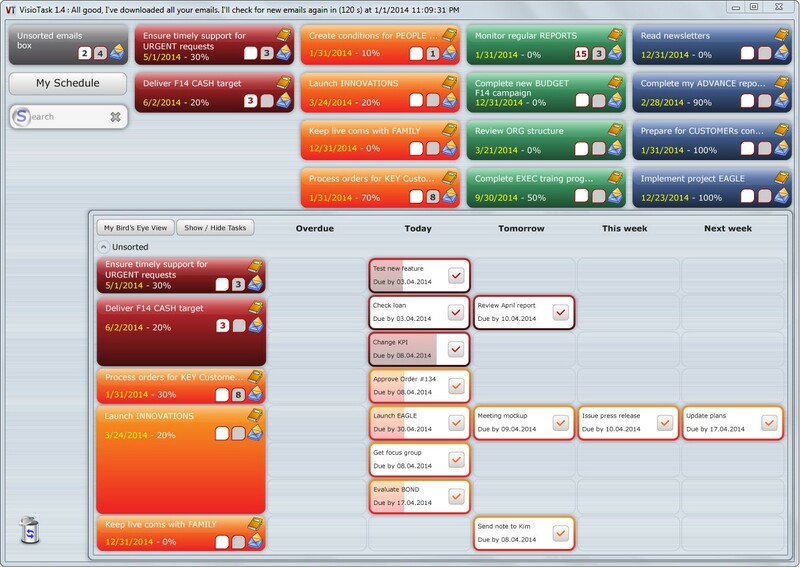 - Build true teamwork with easy task, schedule sharing with anyone. Elegant and intuitively simple tool full of innovative features to get things done faster. Boost your productivity with free task management software. See more at www.visiotask.com. Try it now! 2015-09-20 2.1.0 We added reminders to help you manage your time easier. Now the app will make a call when time is due to keep you on track. Set quick reminder in one click. Enjoy! We are now working on first mobile app for you to stay on top of your priorities on the go. Stay tuned.